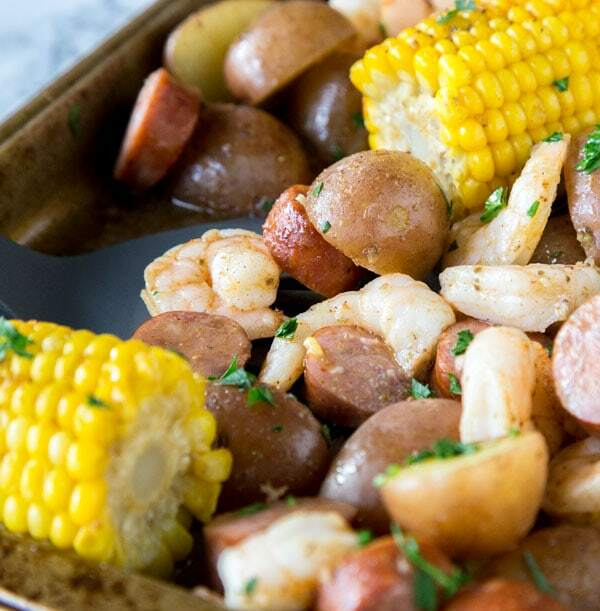 Sheet Pan Shrimp Boil – an easy homemade version of a classic shrimp boil, made in the oven. 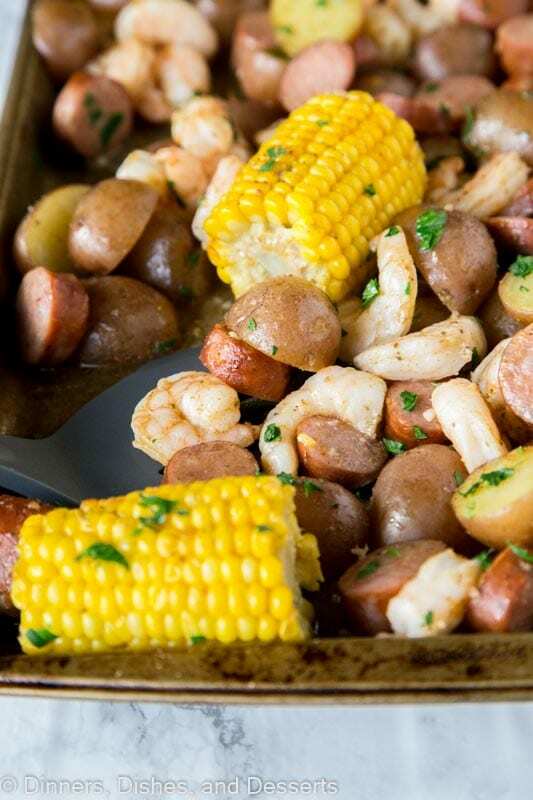 Shrimp, sausage, potatoes, and corn make for one amazing meal! Recently I had the privilege of of cruising the Panama Canal with Princess Cruises aboard the Coral Princess. One thing there was not a shortage of on the ship was seafood. And some of the best seafood you can find. I am not a huge fan of seafood. 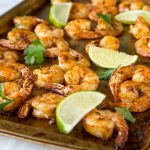 I like shrimp, but that is about it (Shrimp Dinner Ideas are kind of my favorite). My family loves every type there is, and I don’t think they have every found a type of seafood they didn’t like. So the night we went to the Crab Shack for dinner, I felt a little guilty. I knew they would have been in heaven! On the panama canal cruise the Crab Shack is a specialty restaurant that opens just a couple nights of the trip. So you want to make your reservations if you plan on going there! You can get a traditional steam pot of mussels, crab, shrimp, clams and more. 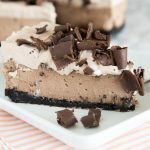 The servings are huge, and everything looks amazing! I ordered the Bayou-Style “Mud Bug” Boil. Which was basically a traditional shrimp boil. It had spicy andouille sausage, corn, and potatoes. Complete with clarified butter for dipping. I think I had 30 shrimp, it was so much food! But it was so good, you didn’t want to stop eating. 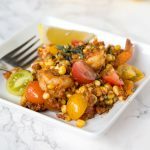 As soon as I got home I made this sheet pan shrimp boil recipe for my family. I could give them a taste of the cruise at home, since they couldn’t be there. They loved it! I used a little bit of old bay seasoning to season everything. Then mixed it all with butter to bake. The shrimp was juicy and full of flavor. 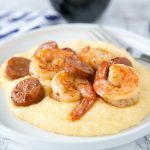 Shrimp recipes are some of the best! 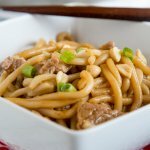 They cook in minutes and are always so good! 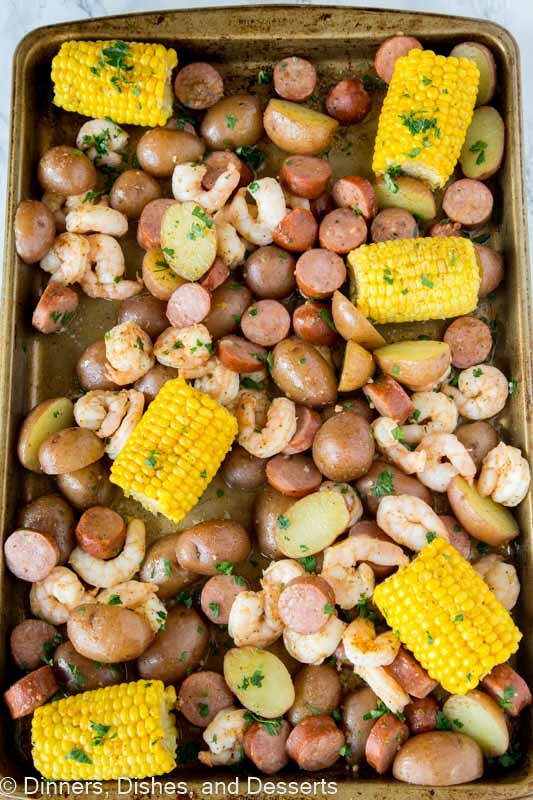 I will be making this sheet pan shrimp boil again. I can’t wait to use fresh sweet corn to make it even better! The dining options on Princess Cruises were all delicious, but if you can dine at the Crab Shack, I highly recommend it. If you have never had a shrimp boil before, now is your chance to change that! 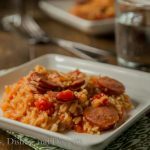 It is a staple in the south, but you can make this easy version any time of year, any day of the week. You could even add more or different seafood if you wanted. Shrimp recipes are seriously some of my favorite to make. 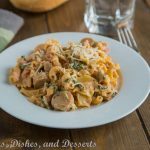 Something like this shrimp alfredo recipe can be done in just one pan, and is perfect for even your busiest nights. Just because schedules get hectic, it doesn’t meant you can bring memories back of vacation on a random Tuesday! 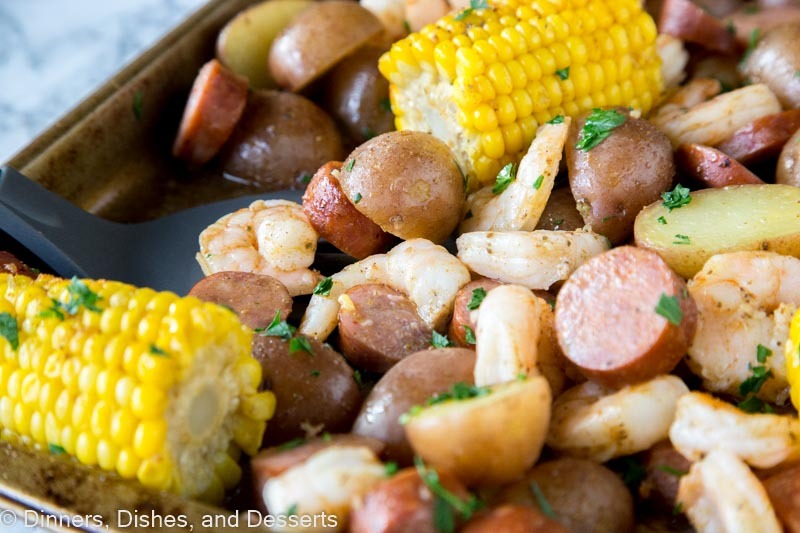 Sheet Pan Shrimp Boil - an easy homemade version of a classic shrimp boil, made in the oven. 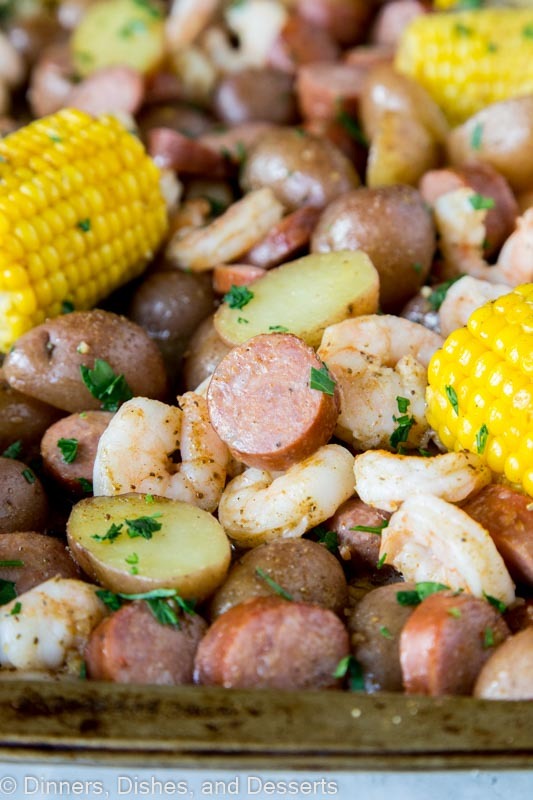 Shrimp, sausage, potatoes, and corn make for one amazing meal! 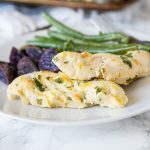 Slice potatoes in half, and place in a large sauce pan. Cover with cold water, and boil for 8-10 minutes until almost completely done. 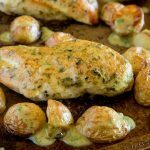 Mix together melted butter and old bay seasoning. Add sausage, cooked potatoes, and corn to the pan. 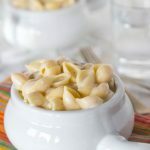 Toss with melted butter mixture. Add sausage to the pan and spread everything in an even layer. Cook for 12-15 minutes until the shrimp is cooked. **This post is sponsored by Princess Cruises. All thought and opinions are 100% my own. Ah! 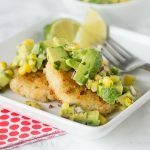 Love recipes that recreate cruise ship experiences! 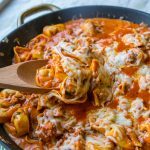 Also love that this can be made in just one pan! Yum! 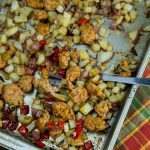 I love a good low country boil, but I never thought to make it as a sheet pan dinner! 🙂 Genius. What a great (easy!) recreation of that meal on the cruise! I ate seafood every chance I could get while we were away! 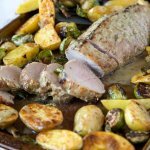 I love easy one pan meals! Looks amazing, plus I want to go on that cruise! 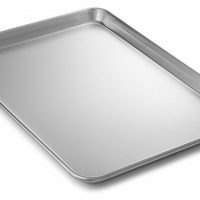 Can you line your pan with either foil or parchment paper to cook your shrimp boil? You definitely can! Makes for easy clean up.